July 14, 2011: On July 15, NASA's ion-propelled Dawn probe will become the first spacecraft to enter orbit around a main-belt asteroid. Dawn will orbit Vesta for one Earth-year, studying the giant space rock at close range to help scientists understand the earliest chapter of our solar system's history. Engineers expect the spacecraft to be captured into orbit at approximately 10 p.m. PDT Friday, July 15. They expect to hear from the spacecraft and confirm that it performed as planned during a scheduled communications pass that starts at approximately 11:30 p.m. PDT on Saturday, July 16. When Vesta captures Dawn into its orbit, engineers estimate there will be approximately 9,900 miles (16,000 kilometers) between them. At that point, the spacecraft and asteroid will be approximately 117 million miles (188 million kilometers) from Earth. "It has taken nearly four years to get to this point," said Robert Mase, Dawn project manager at NASA's Jet Propulsion Laboratory in Pasadena, Calif. "Our latest tests and check-outs show that Dawn is right on target and performing normally." Engineers have been subtly shaping Dawn's trajectory for years to match Vesta's orbit around the sun. Unlike other missions, where dramatic propulsive burns put spacecraft into orbit around a planet, Dawn will ease up next to Vesta. Then the asteroid's gravity will capture the spacecraft into orbit. However, until Dawn nears Vesta and makes accurate measurements, the asteroid's mass and gravity will only be estimates. The Dawn team will refine the exact moment of orbit capture over the next few days. Launched in September 2007, Dawn will depart for its second destination, the dwarf planet Ceres, in July 2012. The spacecraft will be the first to orbit two bodies in our solar system. For more information about Dawn, visit: http://www.nasa.gov/dawn and http://dawn.jpl.nasa.gov . You can also follow Dawn on Twitter at: http://www.twitter.com/NASA_Dawn . 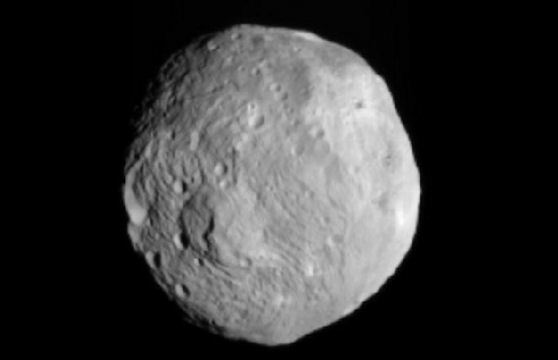 Credits: Dawn's mission to Vesta and Ceres is managed by JPL for NASA's Science Mission Directorate in Washington. Dawn is a project of the directorate's Discovery Program, which is managed by NASA's Marshall Space Flight Center in Huntsville, Ala.